We offer a total of 50 foreign currencies, always available at our counters, to make your travelling easier. Now you can travel comfortably and won’t need to worry about exchanging money once you arrive at your destination. 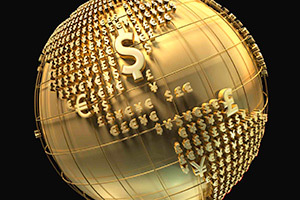 Avoid additional costs and unexpected fees by purchasing your currency in advance. In order to process your foreign exchange transaction you must present (*) one of the identification documents: Citizen's Card, Identity Card (PT) or all European Union countries, Residence Permit in Portugal or Passport. When it comes to ID of Romania, it must be accompanied by a second valid document bearing the signature of the holder. In the event of being acting on behalf of a legal person, for the processing of the transaction, the representative must present a Declaration with Legal Designation of the Company, present the NIPC, authorization for representation and purpose of the transaction. It must also present the identification document defined for natural persons. Unicâmbio makes travelling safer, easier and much cheaper. (*) Other information will be requested by the operators on the transaction as required by the legal and regulatory regime (Bank of Portugal Notice 5/2013).